GVSHP Village Feast - a Food and Architecture Pairing for Thanksgiving and Giving Tuesday! We're getting ready for Thanksgiving and Giving Tuesday by thinking about two of our favorite things – architecture and food! As you might have seen last week, we have curated recipes for a multi-course, multicultural feast, from Village chefs, neighbors, friends, and restaurants old and new. The recipes show our collective immigrant history, with their flavors reflecting the beautiful diversity of our neighborhoods. This week, we have another! 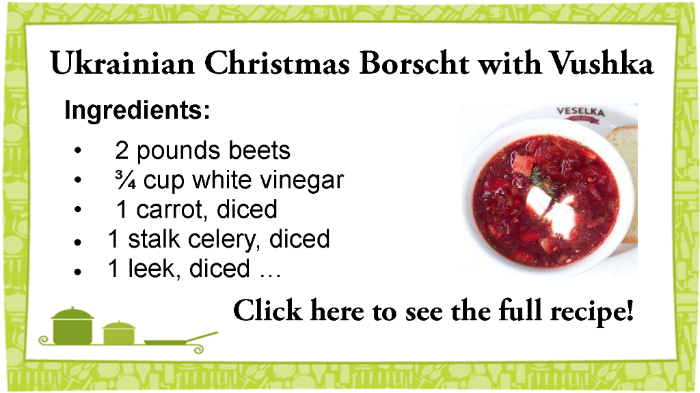 Today’s pairing: Veselka's gorgeous, cozy Christmas Eve Borscht, served up with the landmarked East Village Ukrainian Assembly of God building! Click here for last week's pairing. Food and shelter are universal human necessities. But done with creativity and artistry, both can transcend basic needs, stimulating our senses and opening us up to rich new worlds of culture, history, and beauty. get access to all of our recipes! 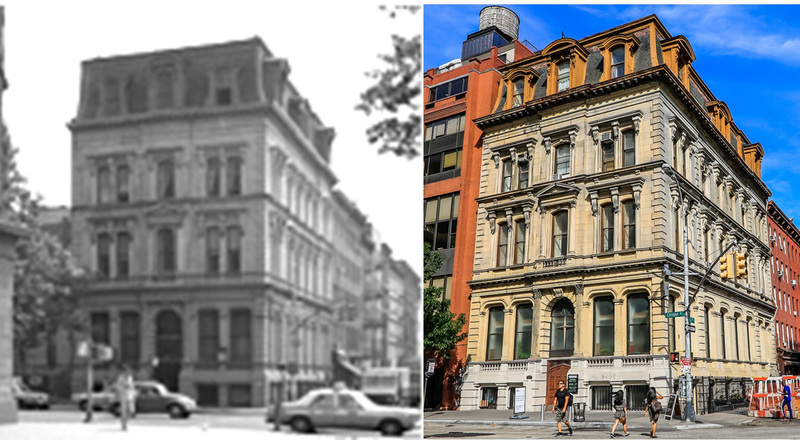 East 7th Street and Cooper Square in "Little Ukraine"
This 1867 three-story masonry Second Empire-style structure with mansard roof was one of the first fireproof commercial buildings of its day. The building proudly holds its corner with horizontal band courses at each floor and an ornate cornice at the roof line. We love the building’s Corinthian columns, central rusticated arch framing a handsome doorway, and its series of dormer windows crowned with arches. In 1937 the building was bought and repurposed by the Ukrainian Church. The Ukrainian population it serves has long been rooted here in the East Village, part of the “Little Ukraine“ community of which Veselka is a vital part.